Dear keen Kenners, my intentions are good, my physical capabilities not quite as much. I am posting a short update and will do my best to get the tons of things I have set aside up soon. As I say every time: I will be back! Greetings Branagh Bunch! Trying not to let too much time go by between updates. There is finally an All Is True page. Lots of articles, not many photos yet (or at least I haven't found them). Here are the articles: What Inspired Kenneth Branagh’s Portrayal of Shakespeare in New Film 'All Is True'? | Review: Kenneth Branagh Returns to His William Shakespeare Obsession With the Original Drama 'All Is True' | 'All Is True': Film Review | If Kenneth Branagh’s ‘All Is True’ Is Accurate, Then Shakespeare Was One Giant Walking Cliché | 'All Is True' Finds Melancholy And Magic In Shakespeare's Final Years | 'All Is True' Review – Kenneth Branagh and Ben Elton's Poignant Bard Biopic | 'All Is True' Is a Shakespeare Biopic for the #MeToo Generation | 'All Is True’ Review: Kenneth Branagh Plays Shakespeare in Strange, Solemn Biopic | Kenneth Branagh’s Shakespeare Tale ‘All Is True’ Connects The Myth To The Man and Sir Kenneth Branagh Screens Latest Film "All is True" at 2019 PSIFF Opening Night Gala. There is an article with a video here : Kenneth Branagh (‘All Is True’) On ‘Trying to Make a Connection’ to the Iconic William Shakespeare [EXCLUSIVE VIDEO INTERVIEW] and a video interview here : Kenneth Branagh on Shakespeare & 'All Is True' - Variety Screening Series, with another one here : All Is True | Exclusive Featurette. There are a couple of articles related to Artemis Fowl : Kenneth Branagh's Nephews Encouraged Him to Read 'Artemis Fowl' and First ‘Artemis Fowl’ Image Sees Judi Dench as a Gender-Swapped Fairy Commander. And some random others: The 'Murder On The Orient Express' Sequel Has Been Delayed, Here’s Why and ‘Storytelling Will Never Change’ and ‘Murder Mysteries Are Timeless’. Visuals: Photos from the Winter KCET Cinema Series; Directing 'Artemis Fowl' and a blast from the past: At the Olivier Awards in 2017. "It's alive!!! "...erm, no wait, "I'm alive - despite all indications (i.e. no updates) to the contrary. A few articles related to Artemis Fowl : Behind the Scenes With Kenneth Branagh on Set of Disney's Adaptation of Irish 'Artemis Fowl' Series and “Ignore Harry Potter”- Kenneth Branagh Tells Artemis Fowl’s Kid Actors and 'Artemis Fowl' Trailer: Kenneth Branagh Reveals Why Judi Dench's Character Was Gender-flipped. For All Is True : 'All Is True' Brings the Bard to the Winter KCET Cinema Series on November 27 and Shakespeare Drops Into Oscar Race. Also 'All Is True' Review – Kenneth Branagh and Ben Elton's Poignant Bard Biopic and Kenneth Branagh’s Shakespeare Tale ‘All Is True’ Connects The Myth To The Man. And finally, a short announcement for Ken's appearance in Upstart Crow, which some of you will have already seen : BBC Two Sets Premiere Date For ‘Upstart Crow’ 2018 Christmas Special. Keen Ken-ners! Lashings of apologies (there's a throw-back line, had to look it up... from The English Patient) for having been AWOL for so long. Will really try for that not to happen again (impediments which I can't always control, alas!). First, housekeeping: the 2017 news has now all moved to the archive: January 2017 - June 2017 News Archive and July 2017 - December 2017 News Archive. There are, essentially, a cartload of articles and some photos, but not too too much news. So you get to catch up but haven't missed any salient stuff (unless you were planning to crash Prince Charles' early birthday celebration). Speaking of which, you can read an article here and see some photos here. The real news is that we will be seeing a film about the latter years of Shakespeare's life made by, and starring, KB Himself. You can read about it in the following articles: Sony Classics Buys Kenneth Branagh’s Shakespeare Drama ‘All Is True’ -- Sony Pictures Classics Acquires Kenneth Branagh Shakespeare Film 'All Is True' -- Dame Judi Dench 83, To Play Across From Sir Kenneth Branagh, 57, as William Shakespeare and His Wife Anne in 'Poignant Study' "All Is True" -- Kenneth Branagh’s William Shakespeare Movie ‘All Is True’ Lands at Sony Classics -- Kenneth Branagh's Shakespeare Biopic 'All Is True' Sets Awards-Qualifying Release Date -- Judi Put the Bard in the Dog House -- Kenneth Branagh and Judi Dench To Star As Shakespeare and Wife In Oscar-tipped Film -- Kenneth Branagh Takes a New Approach to Shakespeare With 'All is True'. You can see the fist released image here. Speaking of images, a number of amusing photos of Ken taken in conjunction with Harry Potter and the Chamber of Secrets have been unearthed and released. You can see them here. That's it for today but hopefully more soon! And for your reading pleasure, a long appreciation of Peter's Friends, trip down memory lane, which you can read here. Hello Ken fans! Sign of life: gathering together many of the articles which have appeared and here are some relating to Murder On the Orient Express: 'Murder On the Orient Express' Is a Mystery Lover's Must-See - Check Out the Fashion Parade Onboard 'Murder on the Orient Express' - Blu-Ray Review: ‘Murder On the Orient Express’ Gets New Life From Kenneth Branagh - 21 Things We Learned From Kenneth Branagh's ‘Murder On the Orient Express’ Commentary and INTERVIEW: Kenneth Branagh. 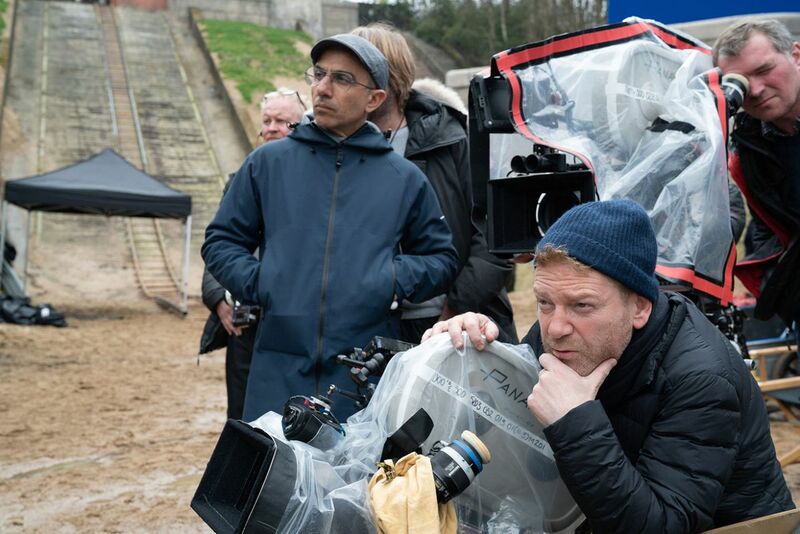 There were also a couple of videos, here: "Murder on the Orient Express" | Kenneth Branagh Visits the Fox Innovation Lab and here: In Studio With Kenneth Branagh: Directing & Starring in 'Murder on the Orient Express'. While in Belfast Kenneth lent his support to the search for a missing man - read about it here. Unfortunately there was not a happy ending to the story. Old unhappiness brought a flurry of articles (all basically the same) when Emma Thompson revisited her heartbreak, as she is wont to do. Here are two from the (in theory) opposite ends of the spectrum: Daily Mail and Independent. And finally (for today), something to look forward to (if you have access to Netflix): 'The Hollywood Masters' Unveils Season 2 Lineup, Premiere Date. Ken will be one of those profiled and according to the article the "show takes an in-depth look at industry leaders’ careers and lives". That's it for today, much more to come! On 30 January Kenneth received the Freedom of Belfast and there were a number of articles which you can read: Belfast City Council to Host Pop-up Film Festival As Part of Branagh Freedom Celebrations, Kenneth Branagh and Why It's Never Too Late to Talk About Billy, Sir Kenneth Branagh Granted Freedom of Belfast, Actor Kenneth Branagh Receives Freedom of His Native Belfast. There were also a lot of photographs, which you can see here. There are lots of articles which I have to add but for now here's a link to the latest regarding Murder On the Orient Express. Same refrain, I will be back - and you know I will... eventually! Happy New Year Ken-fans! I did manage to say this within the first month of the year, although much later than intended! Just two things to post, which have been ready for a bit, mea culpa! There is lots of catch-up to do and you've heard that refrain over and over... for the moment the 2017 January to June news has moved to the News Archive. 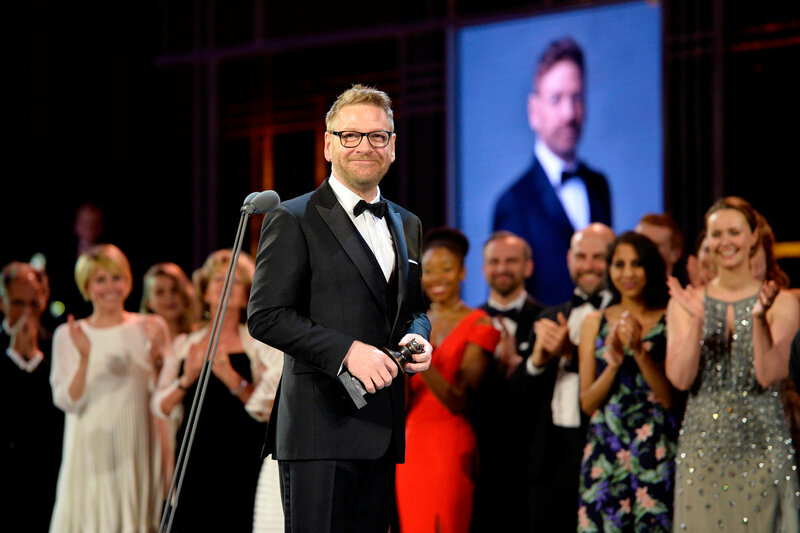 The Ken-Friends once again celebrated Kenneth Branagh's birthday with fundraising project to support the William and Frances Branagh Memorial Bursary fund for students from Northern Ireland studying at RADA. You can read about the project, see the lovely luggage tag designed and produced to raise funds and read Kenneth's really wonderful thank-you letter here. This is a wonderful project each year and everyone is encouraged to join in! The other item is a short article about the ongoing pre-events for the upcoming award to Ken, on 30 January, of the Freedom of Belfast. Read it here. There is also a link to a Twitter feed about the events. So that's it to start the year. I will not talk about trying to be more efficient as talk is cheap... but hopefully more soon!